An important shift is underway at many organizations around how executive coaches are deployed holistically to help advance important organization goals — especially linking coaching for leaders to core business strategy imperatives. 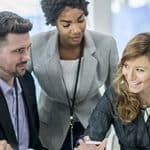 I’ve written about this extensively — with a particular focus in Cambria’s recent publication, Cambria Lens, on how organizations can use coaching to drive strong business results. 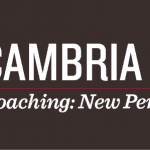 To review briefly, my Cambria Lens article detailed seven steps for tying coaching to organizational strategy — specifically, how to take coaching beyond individual development and set a foundation for bigger, more strategic impact organization-wide. Clarify the target audience: Which leader groups will receive coaching and why. Identify who owns coaching: Ensuring effective oversight of development dollars for coaching. Define what works for most executives: Clarify the end-to-end process for users and leaders to leverage in an effective and efficient way. Determine appropriate types of coaching: How coaching engagements vary based on target audience or program. Pick the right coaches: Ensure this high reputational risk process has the best-fit coaches oriented to your company and the culture. Track progress: Define an easy system for tracking progress, goals, and activities for all coaching engagements and hold coaches accountable to update. Measure impact: Identify the best approach for evaluating various coaching efforts based on the strategy and objectives for coaching. These steps are designed to work as a set for implementing coaching strategically and with stronger results. Plucking from the list of steps above and focusing on #4 – deciding what type of coaching is important and when – let’s review how that played out in one organization. First, some context: As an orchestrated and intentional part of talent development and succession planning, this organization is moving some 20 leaders into new global roles. Each person is a high-potential leader and the roles are very senior – in fact, they are among the top 4 levels of the organization. When the changes were announced, the coaching focus shifted immediately to transition and onboarding. While leadership coaching could continue, the first priority was to ensure that these leaders had support, both internally and via coaching, to make these significant transitions and to land successfully in their new roles. Here’s why that’s important: When any leader moves into a new role, there are multiple perspectives and varied expectations about what the job is and isn’t; what constitutes success in the position; perhaps what needs to change from the predecessor’s time in the role. Even though those issues may have been discussed initially, understanding who all the key stakeholders are, what their expectations are of the leader (realistic or not) and the role all need to be surfaced and explored. 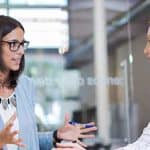 Transition and onboarding coaching can support leaders with an organized, comprehensive, and (above all) a pragmatic process. Bottom line: The first 100 or so days in a new role is about helping the leader get crystal clear on all these issues and more. In a very real sense, coaching’s best function in that initial period is to help identify the right conditions for a successful entry and a well-thought-out game plan for the first year. Once that foundation is in place, a coach’s role can evolve to help support their development in specific ways around important leadership skills. The coach is also an accountability partner around the leader’s roadmap for success. This distinction is an important example of how executive coaching can support the business strategy in tandem with the talent strategy. Here’s the most important take-away: Clients increasingly are calling on executive coaching to play a bigger, more strategic role. And they’re right to do so — especially because, when deployed correctly, coaching is uniquely set up to help advance strategic goals in an accelerated manner. This example points to some specifics there — especially the value in doing first things first with executive coaching. Leaders in new roles won’t be successful unless they help understand important elements of the new role — including: strategy, stakeholders (internal and external), scope, challenges, team composition — and more. Please explore more about this topic in my article, Linking Executive Coaching to Strategy, in our Cambria Lens on coaching. The publication is complimentary and features articles on Coaching for Organizational Change and Building Internal Coaching Capacity from my colleagues Ellen Kumata and Krisann Davis.